According to Anderson Zaks, a leading Omni-channel Payment Service Provider (PSP), organisations should actively take time out to review their approach to handling the growing number of consumer credit and debit card payments. 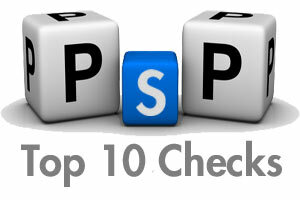 In a guide published today, Anderson Zaks suggests ‘Top 10 Checks’ for choosing the ideal PSP, one that offers the highest levels of security backed up by flexible commercial terms, glowing client references and proof of high service reliability. Iain High, Managing Director at Anderson Zaks commented: “Look at any supermarket check-out, cinema kiosk or dental practice and you’ll notice that customers rarely pay by cash. High profile data security breaches, where customers account details are lost, are also now becoming commonplace. This has brought a fresh set of challenges as businesses struggle to integrate new technology into their organisations and ensure their client data is absolutely secure. Anderson Zaks’ guide outlines the most common issues associated with handling the increasing number of card transactions and offers practical advice on a variety of subjects from compliance, security to industry trends, market sector experience and support. Questions such as ‘Why is independent best?’ and ‘How can I believe what my PSP tells me?’ are answered in this new, best-practice guide. Anderson Zaks’ RedCard Processing Service enables merchants to accept and process any card, anytime, anywhere. RedCard offers easy integration and supports credit, debit, ETU, DCC, gift, contactless and NFC transactions. It provides end-to-end payment authorisation, settlement and value added transaction services in a simple to use, single platform.